Long-lasting Brilliant Sensitive Toothbrush can be used for up to 6 months, and is cleaner and more hygienic as it does not have grooves for bristles like usual toothbrushes where toothpaste, fat, and protein can get stuck. 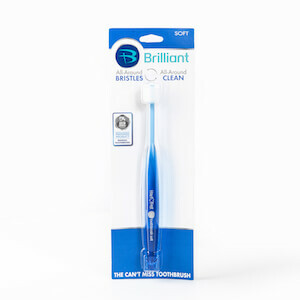 The HartFelt Brilliant Sensitive Toothbrush revolutionizes the industry with its unique design featuring bristles all-around the toothbrush head. This innovative concept means you can better get in all those hard to reach places to ensure a clean, attractive smile and healthy teeth. 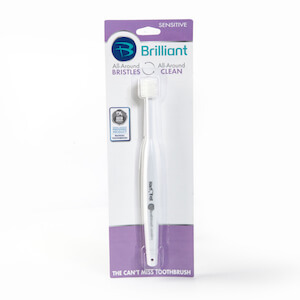 Our Brilliant!® Sensitive Toothbrush has been recommended by dentists and hygienists for diabetics, seniors, and those with sensitive gums, teeth, and compromised oral care needs (i.e., cerebral palsy, xerostomia/dry mouth, special needs). Swollen gums and periodontal disease often results in sensitive teeth and gums prone to bleeding. 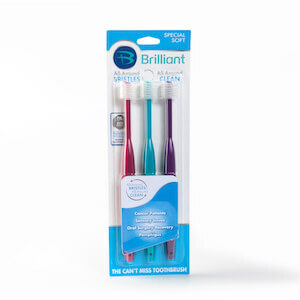 Designed specifically to nurture sensitive teeth and gums, the HartFelt Brilliant!® Sensitive Toothbrush has more than 18,000 extra-soft, micro fine, rounded-tip bristles. 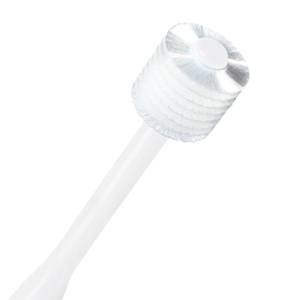 Micro fine, rounded tip bristles are key to the innovation and effectiveness of the Brilliant!® Sensitive Toothbrush. 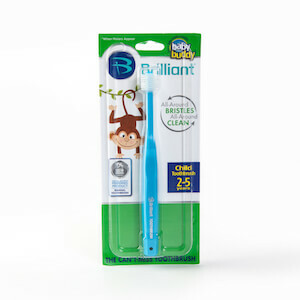 This gives you optimal cleaning power that is soft and gentle on tender and bleeding gums.